During the 19th century, Norway experienced a rapid economic, political and social development. This had a great impact on its capital city Oslo. The city grew dramatically and became crowded; the air was contaminated; and the sewage system was in poor conditions. Due to an increasing need of a better living environment and the recognition of the urban environment being uncomfortable and unhealthy, the municipality started to establish parks in the city of Oslo from the second half of the 19th century. The municipality found it necessary to improve recreational facilities, especially in the areas where the less wealthy lived. The park policy became a social motive. In 1916, the Oslo Park Authority (Parkvesenet) was established, where Marius Røhne (1883-1966) was appointed as the first city gardener (Eike 2006). Influenced by the newly introduced motto “The green city”, Røhne not only focused on social and public health aspects, but also emphasized the importance of beauty and the general appearance of the city (Røhne 1967). One of Røhne’s major contributions to Norwegian landscape architecture was the planning of a coherent green infrastructure in Oslo, which created a network connecting the central area of Oslo with the forests surrounding the city. 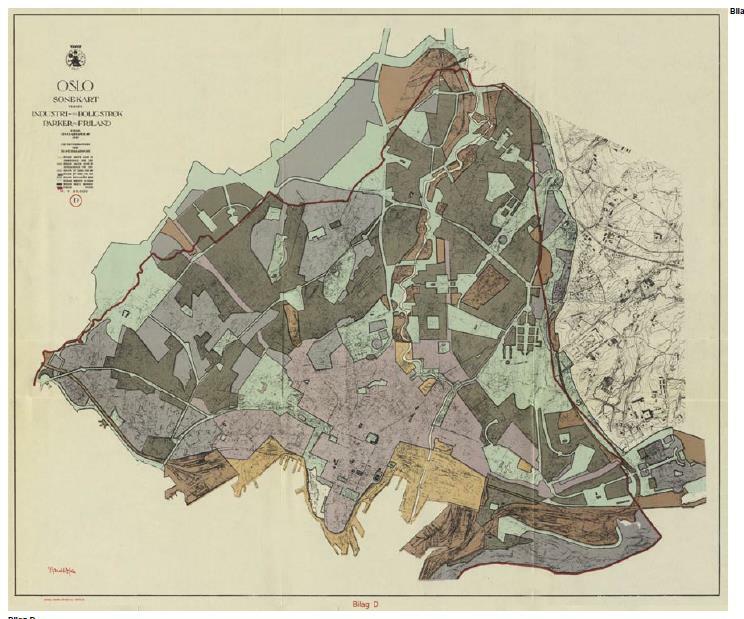 It was published in the Master Plan of Oslo made by the city architect Harald Hals (1876-1956) in 1929. 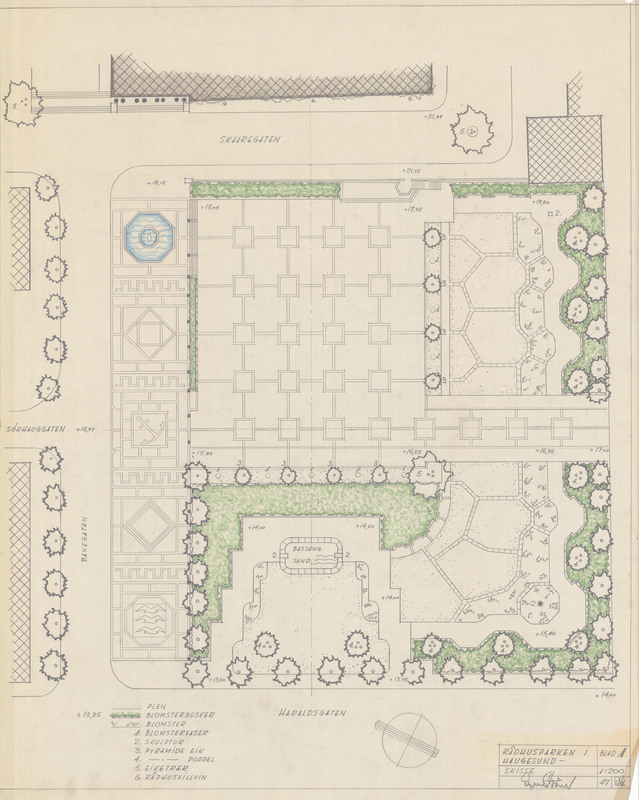 The Master Plan by Harald Hals in 1929 mentions that the contiguous park system is the main element, green areas are integrated into the city plan, and all types of green areas are included. The plan was first approved in 1934. 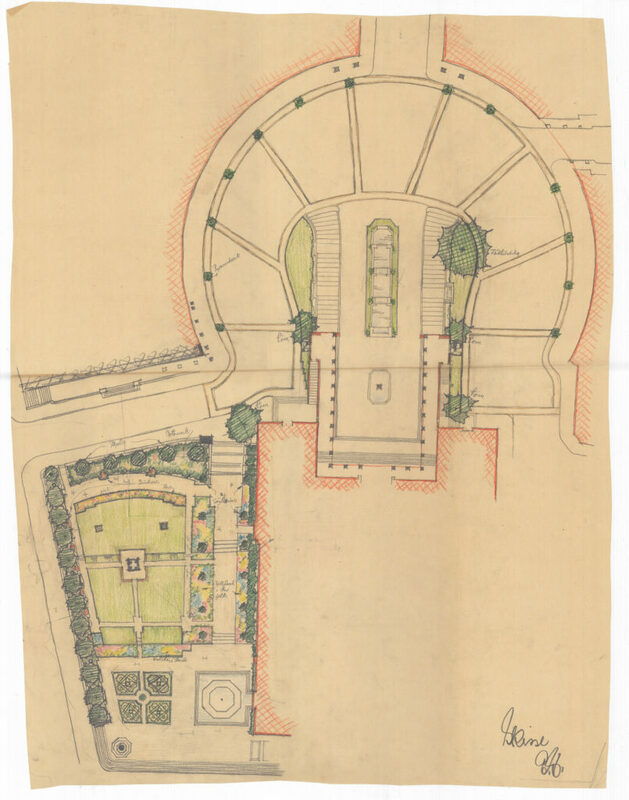 This Master Plan of Oslo and Røhne’s green infrastructure plan, as well as the establishment of the Oslo Park Authority in 1916, provided the stage for Eyvind Strøm’s profession as a garden architect. Eyvind Strøm graduated in 1925 from the Norwegian Agricultural University (current NMBU) at Ås. After visits in Switzerland, Germany, Italy, France and England, he settled in Oslo in 1926 as a practicing garden architect. In 1927, he established the garden architect office ‘Strøm and Hindhamar’, which soon became the leading office in the market. 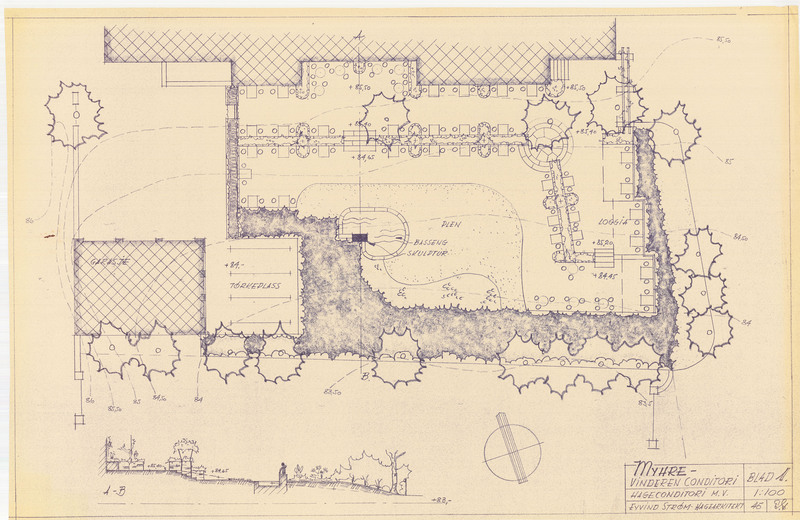 The owners Eyvind Strøm and Harald Hindhamar (1899-1982) were mainly involved in designing villa gardens for the middle class (Apall-Olsen 2007). In 1936, Strøm was employed at Oslo Park Authority. 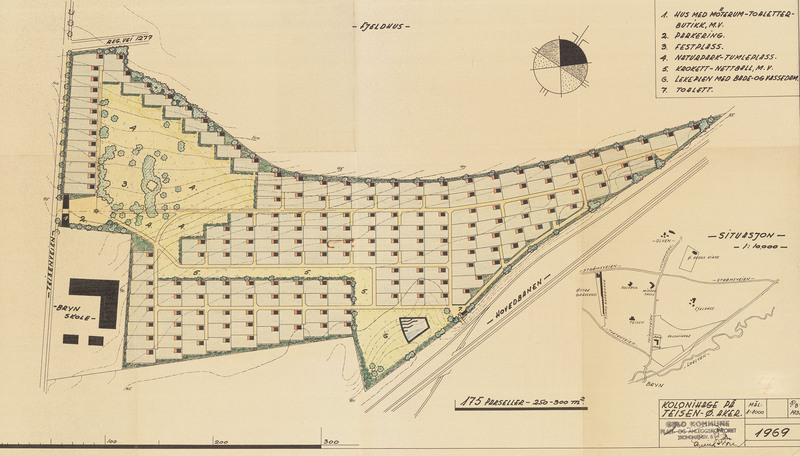 He and colleagues were given the tasks of providing detailed solutions for realizing the green infrastructure of Oslo according to the Master Plan approved in 1934. The Plan identified the most important need as to “lifting urban population out of the dirt and unhealthiness” (Eike 2018). It opened up a new era of the urban development of Oslo. However it was not easy to implement due to the limited space available for green infrastructure. Strøm started with a study trip to Europe, where he explored how parks, sports grounds and other green infrastructures were developed in cities. During his travels to Stockholm, Åbo, Helsingfors, Leningrad, Moskva, Berlin, Dresden, Prague, Nurnberg, Frankfurt, Mainz, Köln, London and Newcastle, Strøm wrote down his impressions. The report is stored in the City Archive of Oslo (Strøm 1936). • Places for tournaments and other sports competitions independent from residential areas. Strøm also notes that, instead of the size of green spaces, it is the variation and diversity that are most important. Since the early 20th century, Nordmarka, the green buffer around Oslo, had already been taken into account in the town planning of Oslo. Strøm believes Nordmarka cannot substitute public parks in the city, but must be seen as an important supplement. Strøm wants also to keep the natural terrain of the landscape in the city, which he later expressed in the proposal for Torshovdalen. Strøm sees the garden city as an important contribution to modern town planning, and wants to include existing and newly established garden allotments within the green infrastructure, like he had seen in Frankfurt. Strøm had experienced in other European cities that the garden allotments can be used as a buffer zone between residential areas and railway lines or industrial sites. 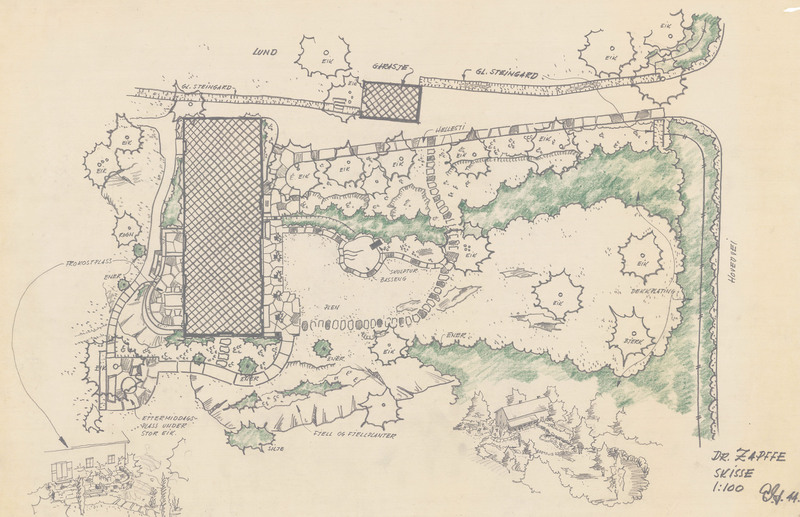 In 1938, Strøm made proposals for the garden allotments in Teisen, Oslo (close to Bryn school, not realized). 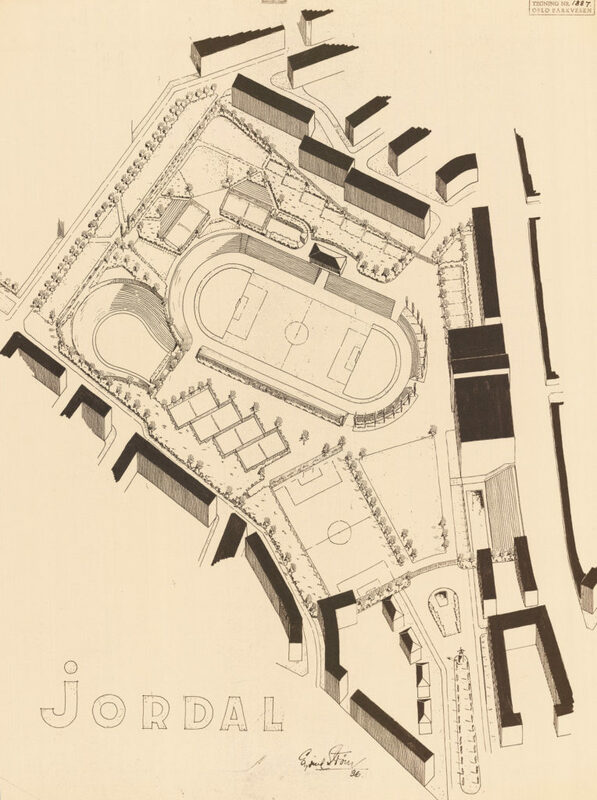 Areas for physical activities are important in modern town planning, which Strøm emphasizes in several proposals (Strøm 1936). Inspirations were probably found in Germany, where there were the best sports grounds in Europe at that time, according to Strøm. 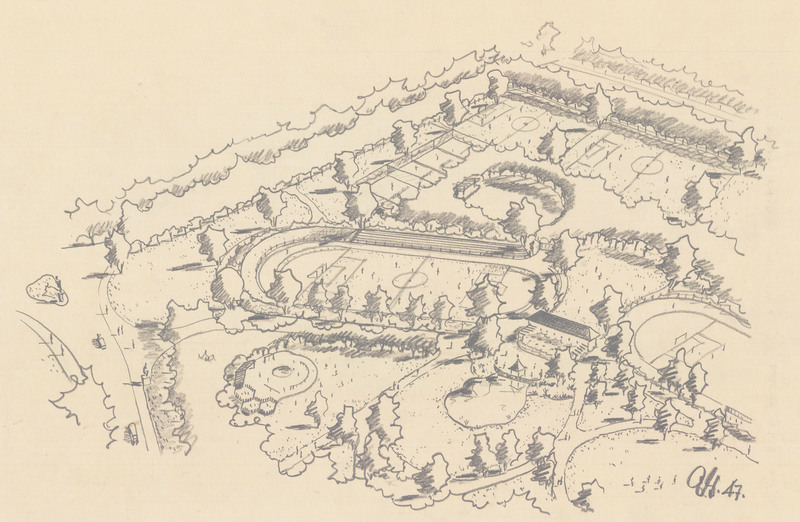 Strøm’s proposal for Jordal sports park (Oslo) from 1936 shows how he realized these needs in practice. 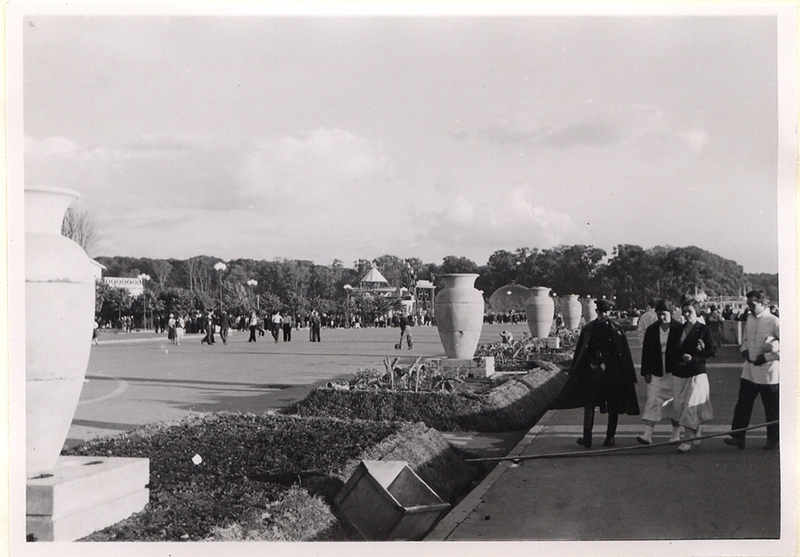 In the Soviet Union, Strøm experienced a new public park concept: the so-called ‘cultural and recreational park’, which has three functions: recreation, entertainment and enlightenment. In a cultural and recreational park, there are special sections for children, youths and adults, as well as places for public education, and for medical consultations. According to Strøm, this type of parks was unknown in Western Europe (Strøm 1936). The travel report written by Strøm gives an interesting insight into the park culture in Europe. Strøm concludes that “Oslo municipality will benefit as the new green spaces are being developed” (Strøm 1936). In 1938 Strøm became the head of the planning section at Oslo Park Authority. In this position he designed the neighborhood parks Torshovparken and Torshovdalen, together with the city gardener Marius Røhne. Strøm was also involved in the further development of the park belt along the river Akerselva. 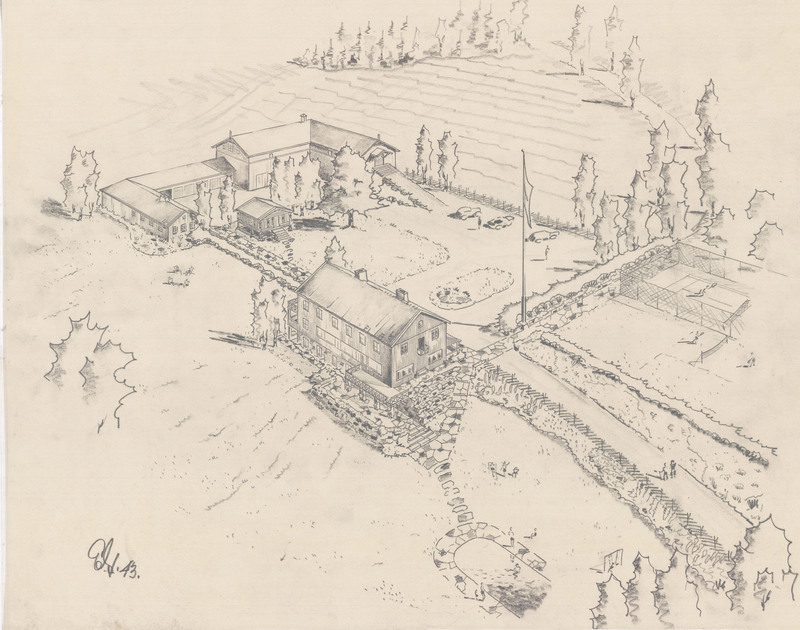 Two proposals for “Rådhushagen”, the garden west of Oslo City Hall. Proposal at the top was realized. Eyvind Strøm. Undated sketches. Strøm also designed several public parks, sports grounds, hotel parks and private gardens outside Oslo. For example, he made proposals for Gran hotel Bolkesjø (1943), the City hall park of Haugesund (1947) and the public park Lystlunden in Horten (1947). 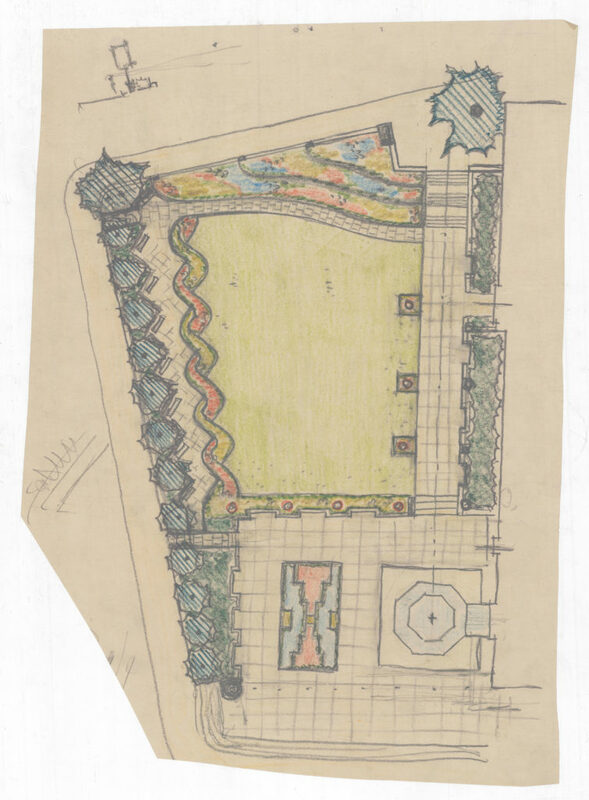 He also designed several private gardens, of which the proposals mainly from the 1940s onwards are preserved. 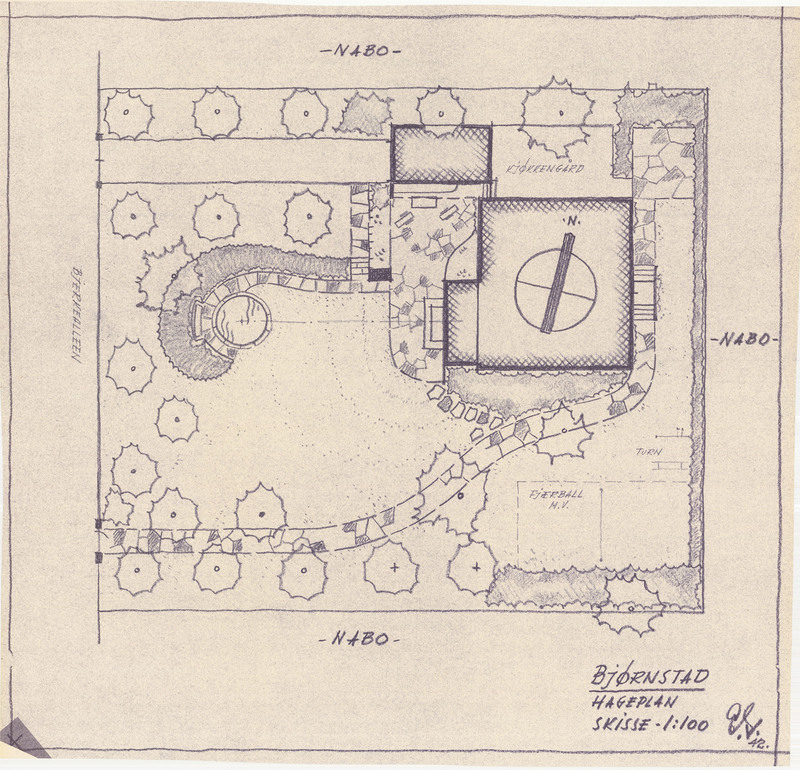 Strøm was a productive garden architect. 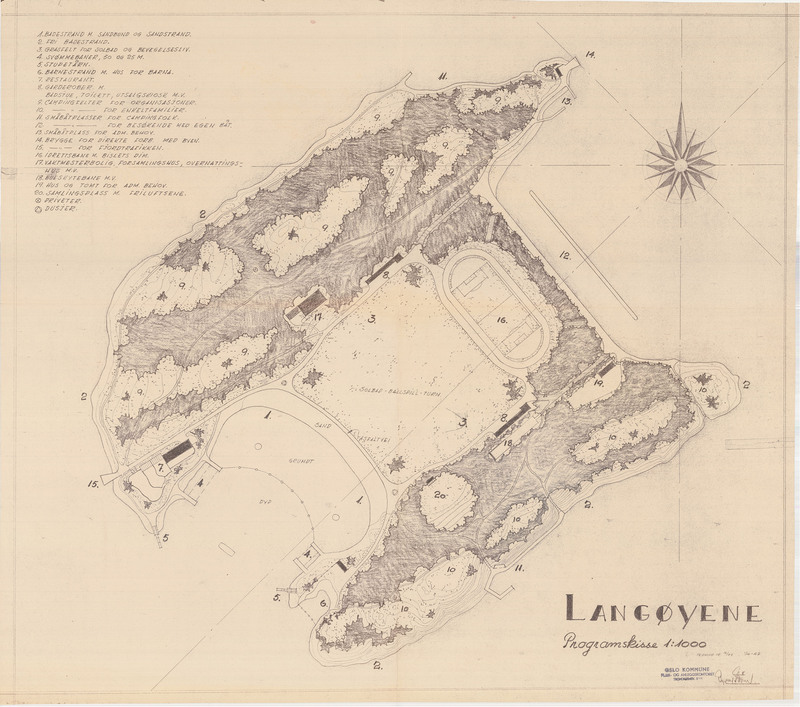 His projects marked the beginning of modernist landscape architecture in Norway. However his contribution is not well-known, since the attention has been mostly on the city architect Harald Hals and the city gardener Marius Røhne. 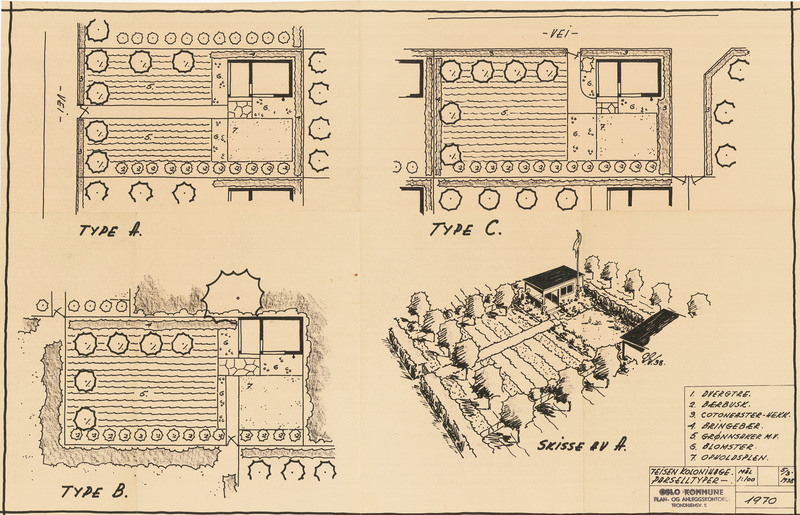 While Røhne was more a park politician and strategist in terms of park planning, it was Strøm who turned the overall town planning strategies into functional and esthetical designs of parks and other green spaces. Apall-Olsen, Inger Aline. Norsk hagekunst under funksjonalismen: Ideologisk bakgrunn og estetisk praksis i hager og parker. Master Thesis, University of Oslo 2007. Eike, Øystein. Oslos byparker. In: Tobias. Tidsskrift for arkiv og oslohistorie, nr. 2 and 3, 2006. Oslo City Archive. Eike, Øystein. En rundtur i førkrigs-Europa. Blog Oslo City Archive. April 2018. Hals, Harald. Fra Christiania til Stor-Oslo. 1929. Røhne, Marius. Oslo Kommunale Parker og Grønnanlegg 1810-1948. 1967.